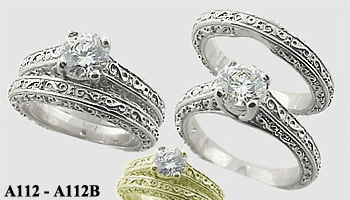 Stock #PLA112A112B:Platinum Exquisite Matching Set! With one of our 1 carat Russian CZs. Can also be left blank to set with your 1 carat stone, Sizing charges include both rings.